T he Esther Myers Yoga Studio in Toronto features a bright wall of windows facing north. Occasional trains pass; low rumbling sounds gather into cacophony and then flit into silence again. The day I attended a morning class, there was a rustle, a nervous tapping sound somewhere in the room before Monica Voss made a suggestion: “On the next exhale see if you want to make a sound. Perhaps you want to yawn”. She asked gently once again. The room yawned awake, shuffled and stretched. I looked up and saw the flashing outline of Voss' spikey Laurie Anderson meets Edward Scissorhands mop as she repeated the request: “If you’d like to yawn once more.” We repeated. And then she asked us to repeat it again. 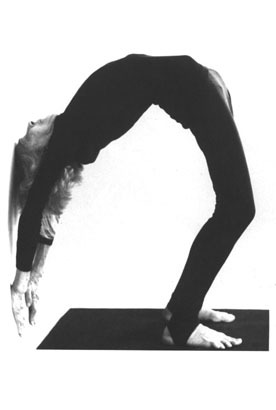 Monica Voss began her yoga studies in 1978 with Esther Myers, trained to teach with Esther, and has been teaching at the Esther Myers Studio in Toronto since 1981. She came to yoga with a background in drama and movement and has degrees in English Literature and Education. Monica studied with Vanda Scaravelli from 1986-1998. Moving into the poses using the rhythm of the breath and the support of the ground resonates deeply for her and she continues to draw inspiration from Vanda’s and Esther’s teaching, from the natural world, from complementary modalities, from study, and from interaction and dialogue with students and colleagues. Monica has received additional tutelage from Mary Stewart in London, England, Angela Farmer and Victor Van Kooten, Edward Espe Brown, and has attended retreats with Thich Nhat Hanh. She has been training teachers since 1986; she co-owns and directs Esther Myers Yoga Studio, its 750-hour Teacher Training Programme and 250-hour Graduate Teachers’ Programme with fellow yoga educator, Tama Soble. Getting into the body is exactly what Monica Voss intends to do. She does it deliberately, repetitively, as she chooses her words – observant of her students' abilities, the tenor of the room and the pacing of her exercises. But moreover, Voss’ class enables a deliberate blurring of the categories that we use to organize our everyday lives: she troubles the difference between work and play, drawing together physical structure, creative expression and a certain 'come what may'. In our conversation she recounts not just the vivid, eccentric personalities of teachers whose lives intersected with hers, but the trajectory of the Esther Myers studio's method and its corporeal morphologies. We hear Monica laugh as she recounts her experiences studying with the gifted and idiosyncratic Vanda Scaravelli as well as her years working alongside the studio’s extraordinary namesake Esther Myers. And, she tells us why the Myers process has so little to do with texts and uninterrupted lineages, and everything to do with knowing your own human form... so that getting into a pose, at work and play, becomes as persistent and effortless as yawning. Priya Thomas: I wanted to thank you for starting the class with all of that yawning. It's the first time I've come across yawning as an exercise in a yoga class. And I hadn't thought about its relationship with yoga. But it also made me wonder a little bit about your background in voice, drama and movement. I gather that you’ve worked with voice coaching a bit? Monica Voss: Yeah, a little bit. Yeah. Well, that was quite, quite, quite in the past when I was a teenager and a very young adult. But the focus on self-expression was really what drew me. I guess that's what draws most people to that kind of endeavor. You know, just getting emotions out of sound and in movement. And the balance between freedom and structure in drama, creative movement and voices too has always interested me. There’s a lot of that kind of back and forth between freedom and structure that I enjoy….because I am very interested in structure, but only as a tool to focus the attention or to focus the movements, or to focus the breath. But then let's get out of that structure as well because structure can be inhibiting. I also think that adults need some amount of unstructured time. Kids do too. I mean, we live such structured lives, and especially kids nowadays. And I don't teach children anymore, but when I did I tried to make sure that they had free time. And that's so important for adults too. Like, free time just to do stuff, or nothing. Something or nothing. Priya Thomas: So at what point did you run into yoga? Monica Voss: Not until my late 20s, I think it was. 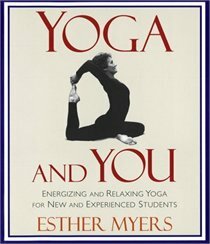 I had a friend who had been asking me to come to a class with Esther - Esther Myers. She bugged me for about a year and a half before I actually turned up because my image of yoga (so this was in the mid-70s) my image of yoga was that it was all about flexibility. And I didn't think I needed that. Again, I was on a search for structure. I thought I could stretch any way I wanted to stretch, but I didn't have the focus. So anyway, I finally came to a class with Esther and I was hooked at the first class because, well, first of all I could do all the movements. They were fairly easy for me, but they were challenging because they were structured. So again, it really worked. In those days this was the Iyengar method. And again, the structure really appealed to me. But what could I do within that structure? Monica Voss: Yeah, that was pretty well it. Monica Voss: Well, originally I was searching for a job. I had to find some way of making a living. And I'd given up the idea of acting. So I went to Teachers College and trained to teach, but I couldn't. But it was like everybody in existence had the idea to go to Teachers College when I had, so it was a very, very big year and I didn't get a job. A big year, a full year of enrolees. And I didn't get a job and I was searching for a job, trying to find a job so badly. So I was looking for that kind of structure in my life; a proper job that I'd actually never had before. And yet I was interested in Eastern thought too, but I hadn't done anything about that really. I hadn't sought it out in university. Priya Thomas: Ok. So where did that come from? Monica Voss: Yeah. It is..
Priya Thomas: But I take it there's a strong connection for you between that feeling of self-expression that you had found in acting and what yoga does for you, right? Priya Thomas: Do you think that others who practice are similarly searching for self-expression? Monica Voss: I think for the most part our students come here in order to feel their bodies, to find themselves a little bit. So there may be a search, although I don't know if our students would express it that way. But I think many of our students are coming to find themselves, to feel themselves, to reclaim something… maybe something from the past. Or maybe they are just finding a way to relax. So it can be that. It can be: How can I manage and still feel like I'm an individual with thoughts and feelings? It can be to develop another life, a personal life. And then there are other people who are either on the verge of retirement or they have retired and they're looking to really look at themselves in a new way again. So I think in both cases there's a search. I'd be interested to know how people express it. Feeling at home in their bodies, I think is a major draw. Priya Thomas: Well that brings me to something that I had read in excerpts of your writing on the Esther Myers website in which you discuss “being in the body”. In one snippet you ask, “Are we denying the body? If so, why are we afraid?” And I wondered, what prompted you to ask that question? I mean, you wrote that post in 2009, so are your feelings different now? Do you think people are afraid of their bodies? And if so, why? 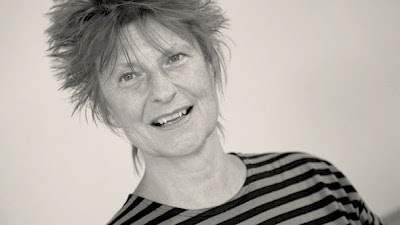 Monica Voss: I wrote that because there was such an emphasis at that time and in that place for the work of Patanjali. And I just felt it was everywhere. So if you didn't know the texts, if you didn't study the texts, then you weren't really practicing yoga. You weren't really teaching properly. And it was almost as though anything we learned from the text is good and smart and important, and anything we learned from ourselves is not necessarily valuable. So there wasn't an emphasis, from what I could tell, except from what we do here on valuing, exploring and valuing what we can learn from our own bodies. And our bodies are the reality. And Vanda was such an inspiration in that line of thinking because she took what she learned and practiced. She lay on the ground, under her piano. [laughs] For hours on end and explored and breathed and thought. And her determination was to find sort of a kinder, gentler approach. And so she discovered these ideas. She didn't invent them. It wasn't a decision. It wasn't something she learned from a book. 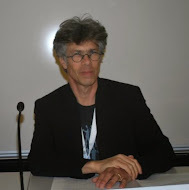 And it was interesting at the time because when I wrote this as a sort of rebuttal, I guess, and my personal lineage does not involve textual study. So I'm not drawn to it, Esther wasn't, and Vanda never even read Patanjali. So it sort of comes through the line here, the generational thing. But it's like that I think because we're all just more interested in movement and sensation. That's just where our interests lie. Monica Voss: It was instant. In fact, it was instant even before I met her because Esther had already been studying with her for a couple years before I met her. And Esther would show a few of us some of the things that she was practicing with Vanda and ask us what we thought of all this because it was so different from our previous practice. And I have to say, I took to it instantly. Not all my colleagues did. And I'm not saying instant is better than not instant, but that's the way it happened with me. It was like an instant almost recognition of something that I was looking for, but hadn't been able to articulate, I think. And what it was is the dropping inside more deeply. Dropping inside and exploring from within. And using the earth just spoke to me so deeply. In other words, using everything we've already got. Priya Thomas: Your writing I think really communicates how inspiring it was to be around her. How much of that had to do you think with her ‘presence’? Or was it her teaching? I mean, what was she like? Monica Voss: She was eccentric in her movements and behavior. Priya Thomas: What do you mean by that exactly? Monica Voss: Yeah. She was gossipy. She was an inveterate name-dropper. She was hilarious. But when she was teaching you, she was teaching you. And it was like nobody else existed, nothing else existed for her but teaching you. She was so incredibly focused. And it was awesome. It was awesome to feel that level of concentration. Priya Thomas: What was your relationship with Esther Myers like? Monica Voss: We had a professional relationship. She trained me to teach and I began teaching in her studio in 1981. We became friends. We became colleagues. So we were colleagues, we were friends, and she was a teacher. We had a pretty full, rich relationship, yeah. I mean, she was a strong character too, and I found her tremendously inspirational. She was an excellent teacher. And one interesting thing about Esther is she didn't expect that she was a teacher. She just found out that she was a good teacher. She didn't know she was. So it must have been a very interesting evolution for her to shift from a university student from an intellectual, with a very strong scientific background, to being a teacher where you work body to body with someone. Priya Thomas: Am I right in thinking the Esther Myers school draws from the Iyengar style? Maybe it's a hybrid? Monica Voss: It isn't a hybrid anymore. We were devoted to the Iyengar method until Esther met Vanda. Yeah. Priya Thomas: Wasn't Vanda also trained by Iyengar? Monica Voss: She was, but only for a very few years in the 50's. Monica Voss: Yeah. So Iyengar was brought to Europe by J. Krishnamurti, who was Vanda's teacher. So there was a big group, as you probably know, of Europeans interested in Krishnamurti. And he felt that his students, all those people who sat for hours and hours listening to him talk, needed to do something physical. So he brought Iyengar to teach his European students. And Iyengar taught one on one in those days. So he taught Krishnamurti and he taught Vanda and he taught Vanda's family members and so on, one on one. 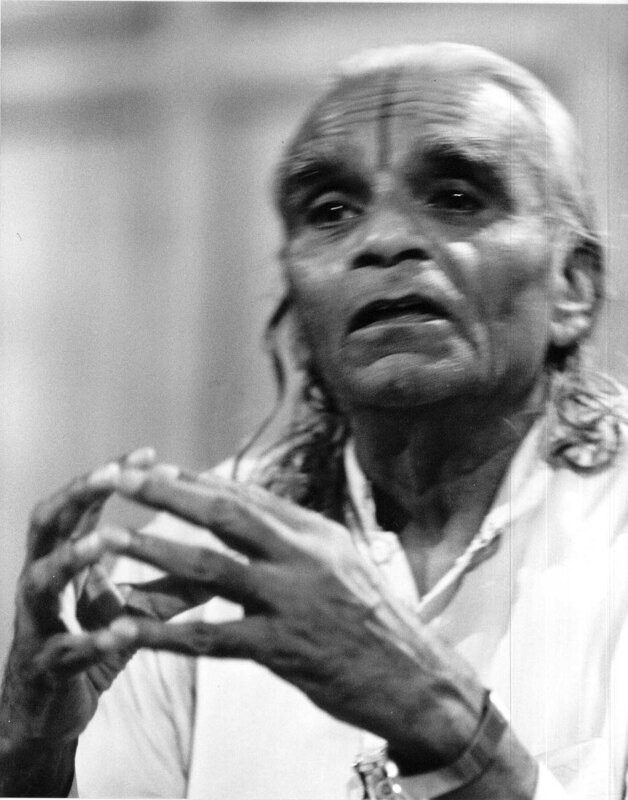 But after a few years, after maybe three or four years, that relationship broke down and Iyengar didn't come anymore to Europe. Desikachar came a couple of times. So she really lapped up the poses. She learned the poses from Iyengar. She learned the breathing from Desikachar. And then she was on her own practicing for 20 years. Priya Thomas: In one of your web posts you note that modern postural yoga is only 100 years old, and all of it effectively designed by one person at that …and then you ask: “So why can’t it be one of us?” I take it that you meant why can’t yoga be redesigned? Is the inspiration to renovate yoga drawn from Vanda Scaravelli? Monica Voss: Pretty well, yeah. I mean, she was a real pioneer. She changed things in terms of the poses. She changed the standing poses radically, but she also dug – in my view, anyway – she dug down deeper to the principles below the poses, supporting the poses, underlying the poses. And her practice became, and ours is as well, much more principle based, or conceptually based. So the poses were less important than the principles. Priya Thomas: OK. When you say the principles of the poses, are those physical principles? Monica Voss: Yeah, the breathing is one, the grounding. Priya Thomas: Do you feel it's necessary to include spiritual or religious frameworks for those things? Monica Voss: Well, the principles are the breathing. That's true for any yoga. The grounding, which is specific to this approach. 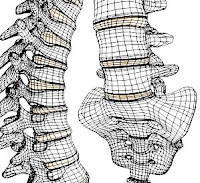 And the elongation of the spine, which is also specific to this approach. I don't know any other approach that focuses so specifically on the elongation of the spine as being basic, not just a happy coincidence or something that is great when it happens but not central. So those are body principles because we're breathing. That's our body. 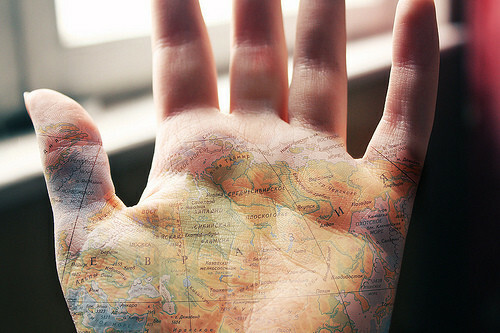 We're grounding, we're earthbound. That's our body. And we have spines and they need to lengthen. So it's interesting that you framed it that way about the body principles because those principles are body principles, but they're also life skills. Yeah. And they're also spiritual. I mean, this is a secular practice. It's got nothing to do with religion. But it's all spiritual as far as I'm concerned because, to me, it's not divisible, so physical practices and spiritual practices are not different in my view. Priya Thomas: I'm guessing that you're not particular about how the tradition is preserved and then handed down. Priya Thomas: So you wouldn't mind if it were just completely taken apart and put back together? Monica Voss: No, as long as it's done safely. I mean, the only don't, so to speak, is to not do something that's unsafe for the body. Priya Thomas: And how do you figure out what's safe for the body? Monica Voss: Well, there are parts of the body that are particularly vulnerable. And that's true for everyone; all genders, all ages. So the neck, the lower back of the knees, and sometimes the elbows actually. So just to make sure that everybody understands safe movement. I have a friend, a yoga teacher in England who teaches what he calls Functional Yoga. So all of his focus is on what the body does normally day to day, and he focuses on helping people make sure that those movements are released enough so that we can live full, functional lives. I would take that a little further and say, yes, that's absolutely important. But there are also movements that we just like to make. They're not functional. Like this movement, for example. So not necessarily a functional movement, but you want to be able to do it because it's fun or it's expressive or it's challenging or it just makes you laugh or it's interesting. Or you're going to try it knowing that you're probably never going to be able to actually do it, but why not try? So there's safety, which is absolutely central, especially with older students – but with every student. And then there's function, which is really deeply important. And then there's sort of a third category that it's just for the pleasure of it, for the fun of it. Priya Thomas: I guess that overlaps with the structure versus freedom idea. It seems like you keep coming back to this idea that we need to play. Priya Thomas: Do you think this school for instance draws a lot from the British tradition of yoga and from teachers who were trained in Britain? Monica Voss: I mean, the British connection, it wouldn't have happened if Esther hadn't gone to England after she finished university. Priya Thomas: Is it significant though? Monica Voss: It's significant because yoga was much bigger there at the time than it was here. 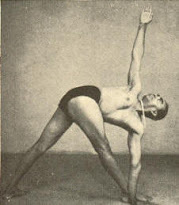 And the Iyengar method was particularly strong, where as it didn't exist in Canada at all other than on the West Coast. Priya Thomas: The west coast of Canada? Priya Thomas: Wow, what year would that have been? Priya Thomas: No, no, this has been really useful. Thank you. Monica Voss: She had three main teachers in England. You had to have three teachers who would accredit you. And then when you got there OK, then you could instruct. And one of her teachers was Mary Stewart. And Esther maintained contact with Mary. And interestingly, just totally coincidentally, Mary met Vanda and began to study with her and teach her basic principles before Esther did.So then Mary was again in the role of a mentor. So she came to Toronto and helped us introduce the ideas into a group, because Vanda only taught one on one. So however much we were learning one on one, we still had to translate it into a group setting. Priya Thomas: Wow, that's fascinating. So much history. Monica Voss: Yeah. So then there was Esther and Mary, and they kept contact. And then I became friends with Mary Stewart, and I still am. So that was the original bridge connection. And then Mary would invite me to go there to teach. And I'm still doing that since 1989. And so I have a lot of yoga teacher friends in England. So that's sort of that. It's not so much that I was influenced by British yoga as by Mary Stewart herself and through Vanda. So it was Mary, Esther, Vanda, and I sort of hitched up to all three of us. Priya Thomas: Nice. It must be quite amazing to think about your work thus far…the long road of knowing all of these people over such a long period of time. I mean, that's an exceptional kind of job to have. Priya Thomas: I should just ask you, how has yoga changed you? 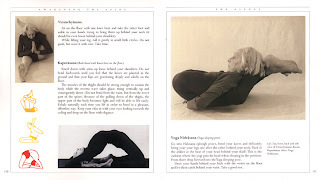 Monica Voss: Well, I think part of the structure of the Iyengar method when I started in the 70's was – I mean, part of the draw to that was that it was strengthening. And I need that, and I must have known that I needed it because I wasn't drawn to any other kind of yoga. So part of that was structuring, strengthening, all of that was calling me. And that was psychological as well. And being able to take a stand and being able to set about on a fairly unusual career. So I think that came directly from the method itself, and I appreciate that. 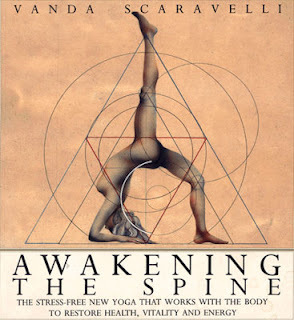 And I learned a lot about anatomy from the Iyengar method. But also Esther was a tremendous influence because she was very tough. And so the method and her personality [laughs] were very integrated at the time. However, when she met Vanda, she was thrown into not only physical but psychological changes. Actually more than I was, I think. So to watch her shift from a highly disciplined and very forthright and even fierce personality to someone who could actually breath and release and start to let stuff go was amazing. What happened with me was a little different. I gained tremendous strength from this method originally and also from Esther. But something was missing and I couldn't articulate it. I didn't know what it was, but I knew there was something missing. And Vanda's approach filled that gap. And you talked about seekers before. I was a seeker without knowing what I was seeking, where as Esther wasn't. So our response to Vanda was a little different, but I think our dedication to this approach being so incredibly supportive and interesting and personal. Personal and individual is really what this is about. Priya Thomas: If you describe yourself as a seeker, what did you seek before you were seeking in yoga? 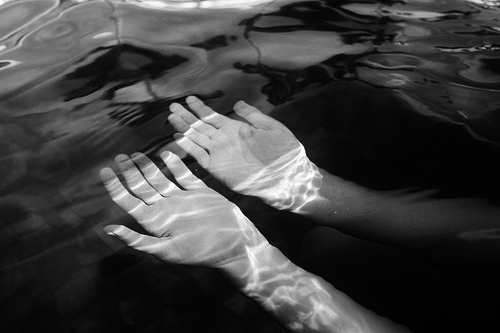 Monica Voss: Presence, I guess. You know, presence or the ability to express myself. Yeah. And the ability to have the confidence to present as an individual. Priya Thomas: In one of your writings you also talk about verbal cues…and how by choosing our teaching language carefully, we can encourage a great deal of exploration within known forms. We can learn to be less directive and more suggestive and descriptive. And I wondered how that translates in terms of verbal cues in class for you. Why choose to be more suggestive rather than directive? Monica Voss: It's interesting because I actually don't like to be told what to do. And that may sound contradictory because much of my early life I was seeking that kind of structure, but I always wanted to make the structure my own. I wanted to make those choices for myself. And so I don't want to tell anybody really what to do. However, there's a fine line between enough instruction and not enough instruction and too much instruction. And I'm trying to work with that all the time. So what's enough instruction to encourage people to move on by themselves? What's enough, what's not enough? And I can tell when it's too much because then people might try so hard to just do what I'm saying and do what I'm doing. And so I just find that such an interesting... I mean, to me, that's what teaching is all about. Like how directive, nondirective, how suggestive? What's the best way given the teacher's personality and goals to encourage the student? So, for example, if the goal in teaching in general is to move the student beyond you, and I believe it is, how do you do that? And there's so much in yoga where the student is bound to the teacher. Priya Thomas: Right. Why do you think that is? Monica Voss: Yoga somehow attracts someone who enjoys a power differential. I don't know why. Yeah. But maybe all teaching does. 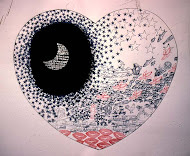 Priya Thomas: Maybe. I noticed on the sheet that I filled out before class*, there was a box to tick off, how to deal with physical adjustments. So I really, really appreciated that because when I travel a lot, I tend to go to whatever yoga studio is nearby. Although I've stopped doing that quite as much because few yoga studios ask you before they proceed to adjust. But how exactly do you approach physical adjustments given that there is, as you say, a power differential? Not to mention, (though this may not apply as much within this studio), but people come and go? Monica Voss: Yeah, they do. Yeah. We teach a course on hands on assisting and we call it assisting. We don't use the term adjustment and we certainly don't use correction. So I think the main question is, how can we contribute to the students' independence when we're touching them? So, again, we're communicating something fairly strongly by putting a hand on someone else's body. But how do we communicate the independence piece? And you can. And you can by being as crystal clear as possible of the principles. And so if we come back to the principles, the breathing, the grounding, the elongation, those are teaching principles. They're yoga principles. They're teaching principles. As you said, they're body principles. But they're also ways of becoming more confident and more independent. 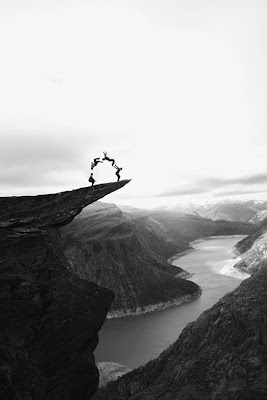 And I really do believe that yoga teaches independence and teaches us how to be alone and how to help ourselves. So that's the philosophy of hands on assisting. If I were to put my hands on your body, I would endeavor to be absolutely clear that I'm assisting you in finding your own breath, your breath, the ground supporting your body. Your elongation, the elongation of your spine. And so it's got much less to do with me and almost everything to do with you. And then sometimes someone will say, well, how do I get that response without you or without an instructor?And so then again we come back to the principles because you can, one can experience breath, grounding, and elongation on one's own. Absolutely, we can. And I guess in a way, we must. We've got to because we don't want to develop or feed these co-dependencies. And I think yoga is particularly delicate when it comes to that. You know, I've been told, you can't get this out unless you come to my class. You'll never have this experience again unless you come to my class. I've been around so long that I've heard a lot like that. Priya Thomas: (laughing) That's interesting, yeah. That’s sort of like being told you'll never work in this town again! Monica Voss: Unless you come to me, that's right. [laughs] Yeah. Monica Voss: So the movement is toward the individual's autonomy as much as possible. Priya Thomas: Obviously you have regular students that you put your hands on...do you find that you're actually transferring energy both ways through adjustment? Monica Voss: I don't think it's possible without that. Priya Thomas: Is it hard for the teacher to take that energy home? After a day filled with possibly assisting people who are dealing with really difficult things that may or may not be verbalized to you, how do you recover from the hands-on experience? Monica Voss: By practicing the principles again. So if I'm looking to communicate those principles through your body, I must be practicing them in myself. So I must be grounding. I have to be grounding. I have to be breathing to be aware of the release of my own spine. And that's really how you do it as well as possible. I know a Shiatsu therapist who used to say, on your way home from teaching hug a metal pole. Monica Voss: And that's grounding, right? And that's the grounding principle again. So the thing about the ground is that our support comes from the ground, but our release is also – we can drop our negativity into the ground and the ground seems to be able to neutralize it. And we get energy from the ground, so the pull of gravity is the source of our energy. Priya Thomas: Do you mean this literally? Priya Thomas: OK. nice. [laughs] You say that with so much conviction. Why do you think yoga is such a healing modality? I mean, there's the story on your blog about chronic illness and your student Kathy Felkai. Priya Thomas: A wonderful story. Monica Voss: Yeah. What a character. She's a character. Priya Thomas: Well almost everybody who does yoga has some kind of transformative narrative to relate, especially those who have overcome a chronic illness or injury. But do you think that someone could go and take up basketball and achieve similar results? Monica Voss: I think so, yeah. Actually, I think it's the conscious piece. So the awareness of the breath and the awareness of movement. And just moving, just moving. And certainly conscious movement is more helpful because – I think as I was saying this morning, or maybe it might have been in the earlier class this morning. So we're practicing these things, like whatever it is; bigger breathing, or stretching the leg, or whatever. So that we feel it, and then we know it, and then we've got it. So we're depositing this new information into the brain. And then we've got that there as a technique or as a tool to help ourselves. So we can call upon it. So it's like we're building our reservoir. And it sounds kind of cold to say tools or techniques, but they are. Priya Thomas: Are you saying we're storing techniques within the body? Monica Voss: Yeah, in the body, and the brain is part of the body. And the mind is part of the body. So I think if someone were going out to play basketball and they're even on some level aware that this was a good thing to do, (I don't think they would have done it without that awareness anyway)... then it's going to help. It can't not help. I mean, sometimes I try to distill it, as you're encouraging me to do. And sometimes I think it comes down to movement is better than no movement, under most circumstances. Monica Voss: Movement is better than no movement. Very few situations where no movement is better. If you've broken a bone or something. Priya Thomas: That’s really simple. Monica Voss: It's very simple. Yeah. Vanda describes these things in her own way. And it's lovely to read. But the other thing that she does is by her own musings, I think, she encourages everyone else to muse. So, again, the other piece that goes along with the individual, like the personal, individual autonomy is the authority piece. We will become our own authorities. So her musings are beautiful. But we could all muse. Priya Thomas: It's interesting that you use that word, muse…a word that relates again to the play of imagination and creativity. And all those things that seem to guide your particular understanding of yoga, which maybe, as you say, is related to Scaravelli’s teachings. Monica Voss: Yeah. So to a large extent, it's an anti-authoritarian. It's certainly anti-authoritarian, but it may be anti-authority as well. Priya Thomas: Yeah, those yoga scandals, rock star gurus and their followers [laughing]. But obviously if you were involved in a practice that's more like this, one hopes that that wouldn't be so much of an issue. Monica Voss: One hopes, yeah. Priya Thomas: Does the anti-authoritarian streak in this system owe to an awareness of how yoga has been dogged by scandals? Priya Thomas: That's just great. Monica Voss: I almost burst into tears, [laughs] I was just, you know. Priya Thomas: She sounds very free with her practice. I guess that's rare. Monica Voss: Very. And she's not that well known. But one could say that she really, really changed the approach to Hatha yoga among a small population that knows about her, from dogmatic to individual, from authoritarian to personal. One could even say that she made the shift from external to internal in posture practice, and made that practice more psychologically responsive. And it's a pretty big shift she made. Priya Thomas: Yeah, it's fascinating. I get the feeling that this is a much bigger conversation if you're ever willing to have a bigger conversation. Monica Voss: Oh, yeah, I'd love to. Priya Thomas: So what are your goals? What are your personal goals? Monica Voss: My partner Tama and I are writing a book. We're writing a practical book on hands on assisting partly because of your question – exactly because of your question. But I'd also like to write something else, but I actually find that I'm a better teacher than a writer. 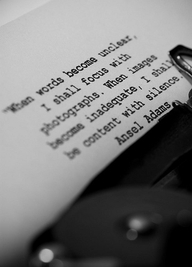 So the writing piece is interesting for me and hugely challenging, but I'd like to take a closer look at it. And last weekend, a student here is a writer, and she taught a weekend on writing that had the yoga component because she called it Writing the Body. So I was teaching some of the physical stuff. But mostly it was her workshop. But I found it so relaxing. And I found that I could get things on paper much more easily. So I'm going to look at this a little bit closer. If we agree that postural yoga offers the possibility of transformation, Voss contends that the power of the practice rests within the human body and not beyond. The moving body requires no legitimation by experts, no hierarchy of physical skills and certainly no guru or intermediary. 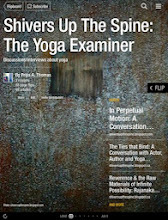 Without concern for the authority of Sanskrit texts or any claim to yoga’s origins, the practice at Esther Myers studio continues with its primary goal of guiding students of all ages and abilities to confront the human body in its most basic and palpable functions, to explore the things that still confound: What is the relationship of the human spine to the ground? How can I work with gravity? How does my perceived reality relate to my physical body? And so, through work and play, structure and abandon, Monica Voss invites her classes to simple observations of the human form in movement so that every body is realized by virtue of embodiment and physical being: each one’s life-force is accessible each day, realization is at your fingertips, a simple matter of recognizing the extraordinary reach of the physical body. Esther Myers Yoga Studio in Toronto offers daily classes, workshops, teacher training and retreats.